Can Juicing Green Vegetables Cause Hyperkalemia? No food or drink is guaranteed to produce weight loss – even a nutrient-rich green smoothie. To lose weight, you need to consistently burn more calories than you take in, ideally through a combination of exercise and dietary changes. Since most green smoothies are made from low-calorie whole foods, using them as a substitute for unhealthier foods you might otherwise eat can be a smart strategy for weight loss. The term “green smoothie” can apply to a wide variety of beverages, some of which are healthier than others. All green smoothies contain some amount of fresh leafy greens, which gives them their characteristic hue. However, that amount can vary from just a couple of leaves to the majority of the smoothie’s content. Most green smoothies contain a mixture of fruits, as well as green vegetables, and some also contain dairy and other ingredients. Not all green smoothies are low in calories. Bo Rinaldi, author of “The Complete Idiot’s Guide to Green Smoothies,” suggests that the best smoothies for weight loss are made from just greens, vegetables, whole fruits and water. Nutrition coach Linda Wagner recommends avoiding smoothies that combine fruits and veggies with dairy-based ingredients, such as milk or yogurt, because it may cause digestive discomfort or hinder weight loss progress. One simple way to reduce calories with green smoothies is by using one to replace a daily meal. A drink with a lot of veggies may have a bitter taste if you’re not accustomed to it, so start by adding just a small handful of spinach or other greens to a fruit smoothie, and increase the amount as you acquire the taste for more greens. Dr. Ben Kim, the founder of Life Essentials Health Clinic for fasting and better nutrition, recommends that you aim for a ratio of about 60 percent greens and 40 percent fruits. In a powerful blender or food processor, combine your greens, fruits, water or crushed ice. Blend and serve immediately. 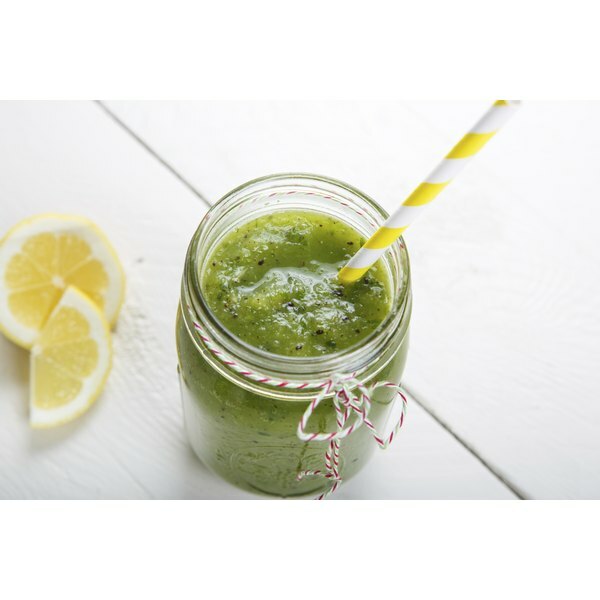 Linda Wagner: Green Smoothie for Weight Loss?